If you are traveling to Peru on your annual vacation there is so much to visit and do in this South American country, visit the North of Peru and the wonderful beaches. Travel further south to the ancient city of Chan Chan and see Senor de Sipan. Travel south the central coast of Peru and you can visit the capital city of Lima, now famous for its cuisine. Further south from Lima experience the mysterious Nazca Lines, something that you will not see anywhere in the world. Travel to the highlands of Peru and wonder at the land of the Inka and the breathtaking Machu Picchu. However, at the southernmost part of Peru you will encounter the lakeside town of Puno and the beautiful Lake Titicaca. If you have never heard of this lake and want to know more, then you may ask why is Lake Titicaca famous. Why you may ask, there are many and various reasons that you will not want to miss a visit to this wonderful part of Peru. Let us now list some of the reason why Lake Titicaca is famous. Firstly, the lake is the highest navigable lake in the world that in itself is very impressive. The lake sits at 12500 feet above sea level in the Andes Mountain range located on the boarder of both Peru and Bolivia. The lake is the second largest in South America at 3200 square miles, making the lake a wonderful site to see. 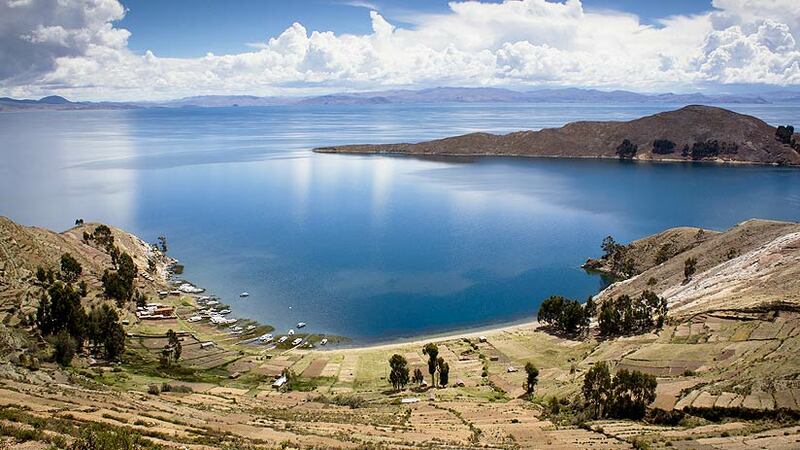 Where is Lake Titicaca you also may ask, it is located in the southern most part of Peru on the border with Bolivia. 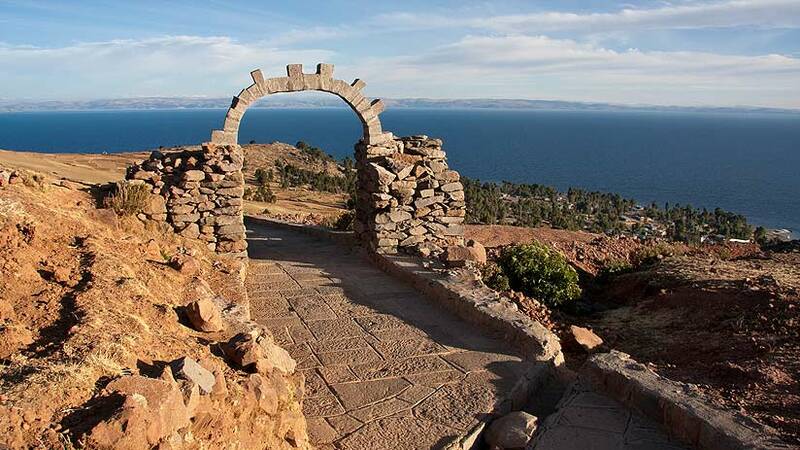 In local legend the lake is called The Birthplace of the Incas and The Birthplace of the Sun, Inca mythology say that the first Inca King, Manco Capac was born at Lake Titicaca. The gods after created a wife for the king and they created a tribe, giving Lake Titicaca the name The Birthplace of the Incas. Before the Inca lived in the Lake Titicaca area the Pukara, Tiwanaku and Collas cultures. 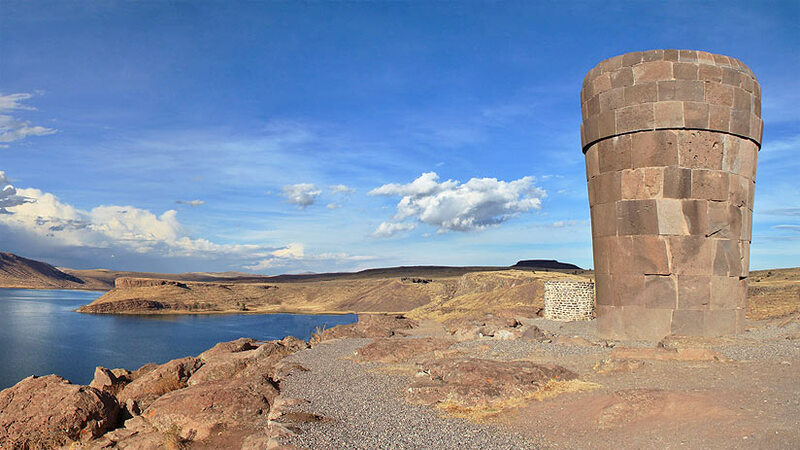 Just outside the town of Puno is the ruins of Sillustani, on the shores of Lake Titicaca the site is the home of a series of towers that once was used as a burial site, but the spectacular location is what you should look forward to seeing. 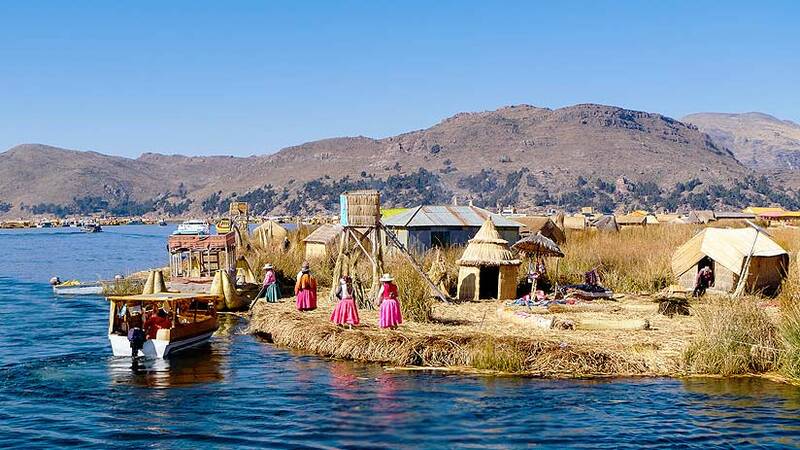 Without a doubt the most famous thing the lake is famous for is the Uros Islands Lake Titicaca, if you have not heard of these islands let us go into some detail. 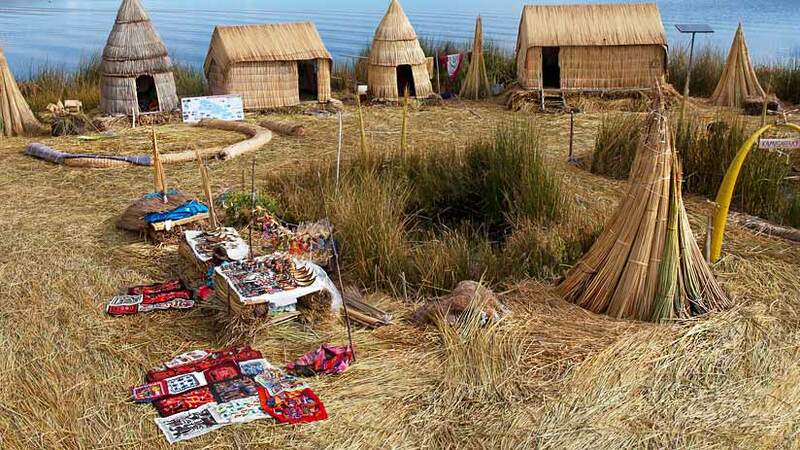 Many centuries ago, the Uros people were caught in the middle of warring tribes on the mainland. They decided to leave the mainland and create their own islands in the middle of the lake and what did they make these islands from? They made them from the reeds growing on the shores of the lake. The islands are anchored down and the local people replenish the reeds by placing a new layer every six months. When you visit the islands and walk on these islands, the effect is like walking on a waterbed. The population still live on the islands today, but the numbers are lowering as the young people leave to pursue other lives. Today the people live off tourism with only a few islands open to tourists this leaves the rest to the local communities. The islands have a primary school for the children, which they attend every day. The locals commute from island on handmade boats, which also are made from reeds. They are mostly self-sufficient, growing food to feed the population, the diet features a lot of fish making the people for the most part very healthy. The houses are made also from the reeds and there is even a hotel where you can spend the night. Also situated on the lake is the rock islands of Taquille and Amantani. Both islands are available to visit and are necessary see on your visit to Puno. Both Taquille and Amantani have very interesting local communities and live simple lives. They also grow their own food and cater for the tourists by selling handicraft to the tourists. You can stay overnight on these islands in very basic accommodation. You will eat a lot of seafood and there are basic restaurants. On the Bolivian side of the lake, you will find the Isla de la Sol and the Isla de la Luna, both well worth a visit for their Inka history and spectacular views. If you are visiting Peru and Machu Picchu, take the time to discover the fabulous Lake Titicaca. You may be wondering how to get from Machu Picchu to Lake Titicaca? There is a train from the Imperial city of Cusco or you can catch the bus. Puno is also famous for the spectacular festival the Virgen de la Candelaria, held on the streets of Puno every February. This wonder of color and music is compared to the Carnival in Rio. Thousands of dancers and musicians take to the streets to dance many traditional dancers from all over Peru. Not to be missed if you are in Peru in February. 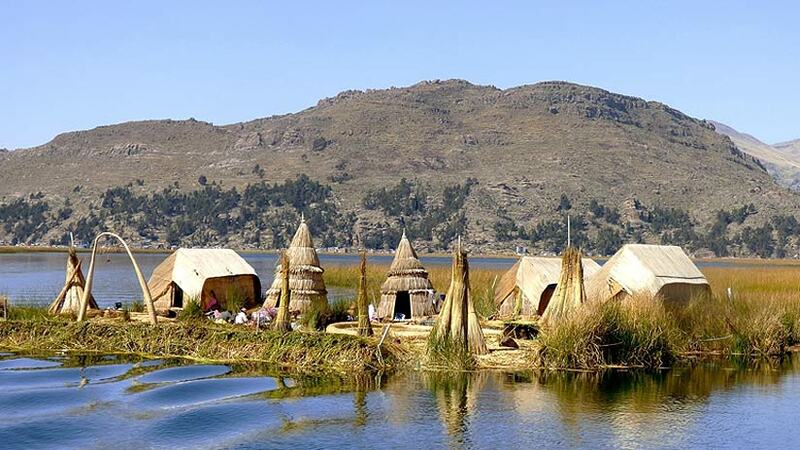 Take a trip to Peru and Lake Titicaca, a journey of a lifetime.